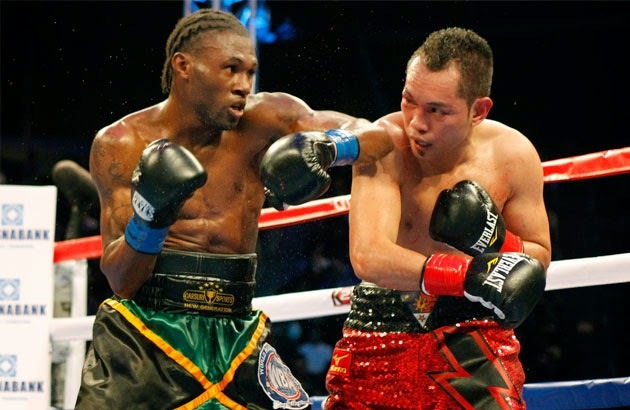 Nonito Donaire of the Philippines suffer his first KO lost in the hands of Jamaican fighter Nicholas Walters. Walters completely demolished the former champion Nonito Donaire in the 6th round of their fight. Donaire loss his WBA Super World featherweight title. Walters said this is the greatest win of his career right now. Here's the highlights of the fight. Donaire a 31 year old fighter may end his career by this defeat. Walters now has an impressive record of 25W with 21KO and 0 defeats while Donaire goes down with 33W and 21KO and 3 defeats.